The new feature predicts and suggests entire sentences as soon as one begins composing an email. It works in the background and can also suggest relevant contextual phrases based on the day, time or the email's subject. Google announced a plethora of new features and services on the first day of its I/O developer conference. It was quite evident that Artificial Intelligence (AI) and Machine Learning (ML) will play a central role in the company’s upcoming offerings. 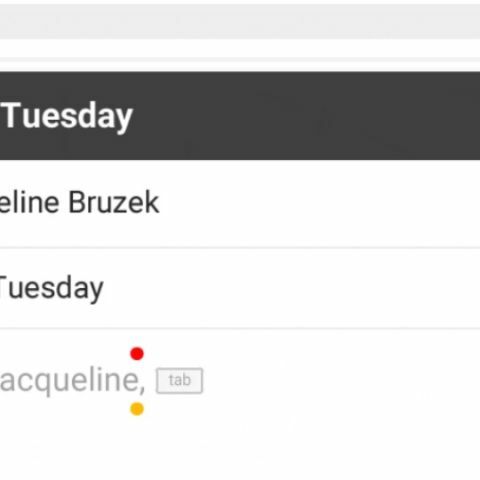 Gmail for the web was recently overhauled after a long time and the company has now announced a new Smart Compose feature for it. It can be considered as an upgraded version of the Smart Reply feature, which was introduced last year, combined with predictive text, which is powered by AI. It allows users to draft emails from scratch and suggests complete sentences based on the user’s style and habit of drafting the mail. The Smart Compose feature works in the background and as soon as the user starts typing their email, they will see suggestions and pressing tab will autofill their ongoing statement with the suggestion. Google states in its blog post, “Smart Compose helps save you time by cutting back on repetitive writing, while reducing the chance of spelling and grammatical errors. It can even suggest relevant contextual phrases. For example, if it's Friday it may suggest ‘Have a great weekend!’ as a closing phrase.” The new feature will be available over the next few weeks for standard users who have the new Gmail enabled and will come to G Suite customers in the coming months. One can enable the new Gmail by clicking on the Setting cog and selecting “Try the new Gmail.” Next, they need to navigate to the general tab in settings and enable “experimental access” to get the Smart Compose feature. Alongside the Smart Compose for Gmail, Google announced some new features for its other services like Google Photos, the Google Assistant, Google Maps, Android P and more. Most of the Google Assistant hogged most of the attention with the new AI-based features which allow it to now place calls and make reservations on the user’s behalf. This was demoed at the event and even though the call was pre-recorded, the smart assistant was able to understand the context, change the pitch and tone of its voice and more. The company announced that the assistant will also be updated with seven new voices, including one from the American singer, songwriter and actor, John Legend. You can stay up-to-date with everything Google announced on the first day of its I/O event here and read in-depth about the new Google Assistant upgrades here. How to write for digit? how to write articles for digit magazine?